I get a lot of interest in my articles about Google Adsense on Blogger Blogspot blogs. In this article I discuss 6 common myths about Google Adsense that will help you get real about placing Adsense on your Blogger blog. False. Only a small percentage of bloggers actually make a living from their blog. It is definitely possible to make some money from Google Adsense Ad units but bear in mind that making money from your blog is commensurate with many factors such as types of advertising, placement of advertising, quality of your content, regular posting, number of articles, SEO, backlinks to your site, number of visitors to your blog to name just a few. The more articles you write, the more posts indexed in search engines like Google and Yahoo which may lead to increased traffic but not necessarily. The bottom line is that for your ads to be effective your blog needs to receive traffic so concentrate your efforts in this area and make sure that your blog is worth visiting once your visitors get there. As Google Adsense itself says it is difficult to predict earnings however there are some general pointers to guide you. For instance if your blog receives 100 visits per day your likely revenue from Google is probably about 10 cents per day assuming that 1 in 100 people click on some form of Google advertising on your site and the page CTR is about 0.20%. Over a year that equates to about $36.50. Not a fortune in anyone's book. Likewise if your blog is fortunate enough to receive 1000 visitors per day you are looking at an annual income from Google Adsense of $365.00. The above figures are an optimistic view. I have not allowed for the fact that many of your visitors will be repeats so the likelihood of a repeat visitor clicking on an ad unit is less than for that of a new visitor. On this basis your earnings could be much less. About 95% of Bloggers would have less than 100 visitors to their blog a day. If your blog is in this category then Google Adsense alone will not allow you to quit your job and become a full-time blogger. You will need to display other forms of advertising on your blog as well before your blog will start to pay. Check out my article on other forms of advertising that may be suitable for your Blogger blog including displaying Affiliate Marketing banners. False. Some bloggers mistakenly believe that placing more Google Adsense units on their blog will yield higher earnings. Sadly this isn't the case at all. By putting more Ad units on your blog you may actually reduce your earnings. There is a risk that the highest performing Ad units will shift to positions that are less frequently clicked on. For instance while the top right hand corner is a prime place for an advertising banner because it gets viewed by the most eyeballs it is also a spot that tends to get disregarded by savvy visitors who recognise it as an advertising zone and avoid it. At the same time a 336x280 Ad unit with a higher CTR is likely to display Google Ad units which pay less because the highest CTR has been transferred to the 468x60 Ad unit. Not necessarily. Depending on your blog's content it might not always be possible to drive a lot of new visitors to your blog and you rely more heavily on your repeat traffic. However, due to the familiarity of the ad placement on your blog repeat visitors are less likely to click on your Ad units than new visitors. While you can expect more clicks on your ad units as traffic increases there is no guarantee that Google Adsense on your blog will deliver the kind of earnings you might expect. False. The ad format you display on your blog is very important. You can earn more from some ad formats than others. For instance it is generally considered that the wide Google Adsense ads (336x280, 300x250 or 250x250) perform best. I like to position one of these directly above my first post. Link units can be profitable too if strategically placed. One of the best locations for link units is in or just below your blog header as many people are used to looking there for a navigation menu. A 728x15 linked ad unit just below your horizontal navigation menu will very likely yield good results. On the contrary where you place Google Adsense can be critical to earning revenue from your blog. One of the best places to position Adsense is above what's known as the fold. The fold is the top area of your blog visible to your visitors without them having to scroll down. A 336x280 ad unit in this space works well because on arrival at your blog the visitor sees what they are looking for and clicks on it. For instance if your blog is about mountain biking then Google Adsense will very likely serve up ads about cycling equipment, cycling tours etc. For the visitor seeing exactly what they are interested in on arrival is a definite bonus which may lead them to click on your Ad unit. False. While Google Adsense is by far the most popular Advertising Network it is not the only advertising option. There are some good alternatives like Clicksor , Kontera and Chitika. Let the type of blog you have govern your decisions around which advertising mix you employ rather than just going for Google Adsense because its the easiest. In this article I have explored 6 common myths about Google Adsense that every Blogger Blogspot blogger needs to be aware of when placing Google Adsense on their blog. This article will hopefully help you do a reality check and help you recognise that while you may be one of the 5% of bloggers sitting on a goldmine Google Adsense won't transform you into a millionaire overnight. This article discusses the benefits of submitting your Blogger Blogspot blog to blog directories and provides a comprehensive list of some of the best blog directories on the internet. This is an introductory article aimed at the new Blogspot blogger but is suitable for any blogger who wishes to build site traffic quickly. By adding your Blogger Blogspot blog to blog directories you are likely to increase your site traffic expotentially. If your site has been languishing in the doldrums and not getting the kind of traffic you were expecting it could be that you haven't generated enough inbound links to your site. Signing up to some top performing blog directories will create quality backlinks and expose your site to many potential visitors. I have signed up for each blog directory in the recommended list below and in all cases have found that they have generated at least some site traffic. A few have boosted traffic considerably and have helped me establish new blogs quickly by generating an audience. One or two blog directories have more than exceeded my expectations. TopBlogList and Blog Catalog fall into this category attracting 10 or so unique visitors within a day of sign up. How do Blog Directories Work? Most blog directories require that you place their button somewhere on your blog. In some cases the button's function is to track visitors from your site to the directory. Some buttons may reflect the ranking of your blog in relationship to other blogs in your chosen category within the directory. If you see a number appear on the button it denotes your blog's position. Decide which email address to use. Blog directories tend to create a lot of mail so unless you want to have your mailbox clogged up consider carefully which email address would be best. You may decide to start a new email address specifically to handle this kind of mail. With such a big choice of blog directories to submit to I have found it pays to be systematic. Keeping a list of where you've signed up in Notepad or similar will help guard against double ups. All of the blog directories listed below I have personally signed up for as mentioned above. The blog directories are in no particular order except that I have put Blog Catalog and Top Blog List first because I have found them good. 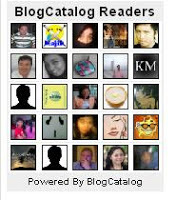 BlogCatalog is a social community for bloggers and one of the largest blog directories on the internet. It is a good option to begin promoting your own blog and to connect with other bloggers. BlogCatalog offers lots of linking options. You can add a button, a link to your blogroll or verify your site using a meta tag and dispense with a visible site link altogether. In addition you can add a Blog Catalog Readers widget to your blog like the one you see here. A nice control panel for site management. Ranking of pages is done according to the number of unique visits each blog receives in a month. Ranks blogs according to the number of visits a blog receives in a certain amount of time (daily, weekly, monthly, etc.). Requires two buttons to be placed on your blog. One is the tracking button which tracks number of visitors and displays the rank of your site. The other button is the voting button. If a visitor votes for you it is equal to 100 unique visits . Tracks thousands of blogs. Submit yours. Try doing a check first though as you may be surprised to find your blog has already been located automatically. Over 140,000 blogs in the Blog Flux directory. Nice Control Panel interface. Sign up is immediate although all blogs added are manually checked so there is a time delay before your blog will be included. Top 100 most popular section. Score increases depending on variables like users ratings, incoming traffic and outgoing traffic. Blog of the day feature chosen on the basis of the number of unique visitors directed by the blog to the directory per day. The blog of the day gets the whole of the site traffic fof that day. Blogs are listed randomly so that every blog gets equal exposure. I have not necessarily submitted a blog to these blog directories but I am providing a link if you want to follow it up. Not sure about overall chances of an increase in traffic with these ones though. In this article I have discussed some benefits of submitting your Blogger Blogspot blog to blog directories. I have suggested ways to get organized to make the process less daunting and I have recommended some blog directories which I have personally signed up for to get you started. Adding your Blogger blog to these blog directories should result in an increase in site traffic. Good luck! In this tutorial I will guide you through the step by step process of burning your Blogger feed at Feedburner, updating your blog settings to reflect the new feed and adding a RSS icon to the sidebar of your blog so your visitors can subscribe to your new RSS feed. Although redirecting your blog feeds through Feedburner is relatively straightforward I will be including some tips to simplify the process. This tutorial is suitable for all levels of technical knowledge but is particularly aimed at those readers new to blogging with Blogger. There are lots of good reasons for burning your Blogger feeds with a free service like Feedburner. Among the advantages are better feed presentation, detailed tracking statistics and access to the large choice of feed readers available. For a full discussion of the benefits of burning your Blogger blog feed at Feedburner including an explanation of Blogger RSS feeds please refer to my article Blogger RSS Feeds and Feedburner. 2. Sign in to your Google Account if not already signed in. This will take you to your Feedburner Account page. 8. Feedburner will now inform you that it has successfully updated the burned feed you have just created. 12. Click on the Advanced Mode to switch from the basic mode. 13. Make sure that the Blog Posts Feed, Blog Comment Feed and the Per Post Comment Feed are all set to Full. In this article you will learn about Blogger Blogspot RSS feeds and about the benefits of burning your Blogger feeds at Feedburner. Your Blogger feeds are a means of distributing your blog content to the world. Feeds make it possible to maximise exposure of your blog's content beyond a few visitors browsing your blog. Feeds can be subscribed to via a web portal, news reader, or email. Feeds allow your blog content to be packaged into all sorts of widgets and gadgets and mobile devices that can be displayed just about anywhere. RSS stands for Really Simple Syndication. RSS is a standardized web format used to create a document containing your blog posts, blog comments or any other content on your blog you choose including images, music and video. As Blogger has built in RSS feeds, everytime you publish a post Blogger automatically adds your post to the default feeds. How much of your Blogger post that is displayed in your feed depends on whether you have chosen your feed in full or short format. To check this setting in Blogger navigate to Settings > Site Feeds of your blog. Blogger automatically produces your blog's feed in both Atom and RSS. RSS is becoming increasingly popular as the preferred format for feeds. Both Atom and RSS were developed to enable people to receive automatic updates of their favorite blogs and websites. While the format of each is different they do pretty much the same job which is to output updated content from your blog in a format that can be easily read in a feed reader. Whenever you see the familiar orange icon on a website that denotes a RSS feed. By adding this RSS icon to your Blogger blog and setting up a link to your posts feed or other content visitors will be able to view your feed on click. If you have enabled the Subscription Links widget in Layout > Page Elements > Add a Gadget visitors are given the option to subscribe to both your posts and comments feeds in a reader such as Google Reader, My Yahoo or Bloglines. Alternatively you can burn your blog feeds with a free feedburning service like Feedburner. Your readers don't have to worry about manually saving your blog to their browser favorites anymore as Atom and RSS feeds make it easy to subscribe to a feed reader instead. Rather than visitors manually checking back on your site and trying to manage a bunch of bookmarks they can choose to subscribe to a reader. Subscribing in a reader means they will get up-to-the-minute content automatically without fear of missing any new entries. To make it even easier to get subscriptions to your blog it pays to burn your feeds with a feed burning service like Feedburner. The Feedburner service is now owned by Google and can accessed from your Google account. If you do intend to include Google Adsense on your feeds it is a good idea to burn your feeds. Please refer to my article Adding Google Adsense to Blogger RSS Feeds for help in setting up Google Adsense for your Blogger feeds. 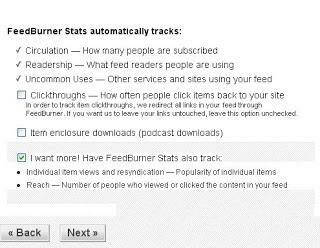 For assistance with burning your feed at Feedburner please see my article Burn Blogger RSS Feeds at Feedburner. One of the things that makes Blogger such a great blogging platform is the facility to add advertising to your Blogspot blog and make money from it. In this article I will be discussing how banner advertisements on your Blogger blog can make money for you. By banner advertising I mean advertising in addition to Google Adsense or Adbrite that you may have already added to your Blogger blog. 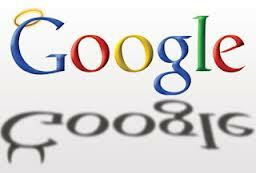 For information on adding Google Adsense to your blog please read my articles on Google Adsense. It is no secret that banners make money provided you choose your merchant program carefully and have enough traffic accessing your site. In my experience once you reach around 100 visitors a day is a good time to add a few banners to your blog. Affiliate marketing banners make money for the publisher - that's you. When you place a banner on your blog the affiliate program gives you a snippet of code to add to your template which makes the banner display and identifies you as the publisher. When a visitor clicks on a banner on your website that click is recorded as originating from your site and you make money as a result of that click. Depending on the merchant program that you have signed up for you can earn a commission for providing a lead, or receive a percentage of the sale. After having placed your banner ad on your Blogger blog your site gets 100 visitors in a day. Out of that 100 people 5 people click on a banner which takes them through to the merchant's website. From those 5 people one person makes a purchase of around $100.00. Assuming your commission is 10% of the sale you have just made yourself $10.00. It's that easy. To make money from banner ads you need volume as only a small percentage of your visitors will take any notice of the advertising on your blog and only a much smaller percentage of that pool will actually buy anything once they click. That's why it is really important that you focus your energies on building site traffic. If you need to grow your traffic read my articles on tips to increase traffic to your Blogger blog. Of course you do need to choose your affiliate banners carefully as obviously some advertising will have more appeal than others. To some extent this is a matter of trial and error as you can never be completely sure how a banner will perform until you try it. You can increase the odds of success however, by choosing merchant programs that are related to your blog in some way. For instance if your blog is about cars then advertisers of car accessories like audio units would be a good place to start. Too many banner ads can give your visitors the impression you are just in it for the money. So make sure you don't go overboard with too much advertising that will overshadow or detract from the content of your blog. Remember less is more so place your banners ads strategically on your blog. I like a small cluster of about 4 banner ads usually 125x125 somewhere fairly close to the top in the sidebar and a 468x60 banner in the header. The header is a prime position for an effective banner advertising campaign. Read more about how to place a banner ad in the header of your Blogger blog in my adding banners to Blogger series of tutorials. The other main problem with banner ads is that they encourage visitors to leave your site and as we all know one of the hardest jobs is to attract the visitor in the first place. Do you really want them leaving your site before they have had a chance to look around? I don't think so. 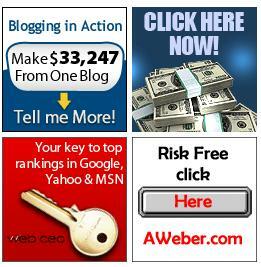 Only place banner ads on your blog that you are confident will reap you some rewards otherwise forget it. You might actually lose traffic if you provide too many inducements to leave your site. In this article I have discussed banner advertising as it relates to Blogger Blogspot blogs. You have learned a little about how affiliate programs work and how you might use banner ads on your own blog to make extra money. For tutorials on adding banner ads to your Blogger Blogspot blog please refer to Add Affiliate Banner Ads to a Blogger Sidebar and Add an Affiliate Banner to Blogger Header. A lot of people want to make money from their blog and for this reason want to learn how to insert affiliate banners into their Blogger Blogspot blog. In this Blogger tutorial which is the first of a series I will show you how to place a banner in the sidebar of your Blogger blog (Blogspot blog). Even if you are new to Blogger and have very little technical knowledge this tutorial is still suitable for you as I will guide you through every step in the process of adding a banner ad to the sidebar of your Blogger blog. It is relatively easy to add an affiliate banner to the sidebar of your blog. 5. Click on Add a Gadget in the sidebar. If you are using a customized template you may have 2 different sidebars so decide which you want the banner ad to display in. 12. Click on View Blog to see you new banner ad in action. If you want to center your banner ad insert <center> before the merchant code and </center> after it. If you want to add more than one banner ad to the same widget you can just by pasting the code for the second banner ad below the first lot of code. If you want some white space between the banners ads insert <p> between each lot of code. Your banner ad should appear right away. If your banner ad doesn't display at all then there is a problem with the widget you have just created. Retrace your steps making sure you have got all the code. In this Blogger tutorial you have learned how to add an affiliate marketing advertisement banner to the sidebar of your Blogger blog (Blogspot blog) and about some common problems that you may encounter. In my next tutorials on banner advertising I will show you how to place a banner in a variety of other spots on your blog including the footer, above the first post and in the header. Why not bookmark this site so you can return easily? Would you like to know more about the traffic visiting your Blogger blog (Blogspot Blog)? Feedjit is a free tracking tool that tracks visitors to a blog in real time and identifies what pages are visited. In this Blogger tutorial you will learn how to add a Feedjit widget to your blog which will track where visitors originate from and what pages they viewed. Adding a Feedjit widget to your Blogger blog is easy and takes less than 5 minutes. This tutorial is suitable for all Blogger bloggers (Blogspot beginners). Updated 10 October 2009. Feedjit monitors traffic to your site and ranks it based on popularity and relevance against the traffic received by other Feedjit users in your local area. There is a choice of 4 different widgets: Live Traffic Feed, Live Traffic Map, Recommended Reading, and Page Popularity. Each of these widgets has different functions. The Page Popularity widget lists the 10 most popular pages that have been accessed by visitors on that day. Click on the Customize It link under Live Traffic Feed. This will allow you to enter colors to match the theme of your blog. If you are in doubt I have found that the easiest method to get the custom colors of a site is to go to the Layout > Page Elements screen in Blogger and click on Add a Gadget and then Adsense. From the configuration screen that pops up you can get the colors of the background, border, title (heading in Feedjit), URL, text. If you use these same colors in your Feedjit widget it will blend in with the rest of your site. You can preview your widget to make sure it looks as you would like it before adding it to your blog. To automatically add the widget to Blogger select the Click to Add to Blogger Link and follow the instructions. Or to manually add it which I myself prefer right click the code in the box under the heading Live Traffic Feed and select copy. Click on Options in the Feedjit widget and then Ignore My Browser otherwise the widget will record your visit each time you view your blog. The option on the widget will now change to Stop Ignoring Me which you can reverse by clicking on the link again.If you use more than one browser you will need to tell Feedjit to ignore you for each browser. This Blogger tutorial has discussed how to add a Feedjit Live Traffic Feed widget, gadget or button to Blogger to track where visitors are being directed from and what posts they are most interested in. A Feedjit Live Traffic Feed will help you learn about the visitors to your blog and what search phrase they used to arrive. To add a Feedjit Live Traffic Feed widget to Blogger is simple and takes less than 5 minutes to install. If you want your Blogger blog to sizzle and really take off there are some pretty important blogging pitfalls that you need to avoid. In today's article I will be talking about 6 of the most common mistakes new bloggers make on their Blogger Blogspot blog and how to avoid them. I can't emphasize enough that the standard of your content will make or break your blog. Poor content = few return visitors. Good content on the other hand will attract visitors and keep them coming back to check out what's new. Successful bloggers write clearly, know their subject and develop their own unique voice. A conversational style is often recommended but I suggest just write naturally and that naturalness will shine through. Post quality well researched content that is interesting and topical. To do this you need to know your audience. Who are your readers? Do you know? If you don't know your target audience it will be hard to put yourself in their shoes which is exactly what you need to be able to do when you sit down to write a post. Ask yourself what are my readers looking for that would make them visit my site and read my post. Are they looking to be entertained, informed or a bit of both? Sign up for visitor tracking such as Google Analytics if you aren't already so you can get an idea of your visitor base. For help with implementing Google Analytics please read my post on adding Google Analytics to your Blogger blog. I've seen some pretty hopeless headlines that don't give me enough of a clue about what a post is about to entice me into reading the article. If you want to attract readers to your site you need to grab them. That means putting some thought into crafting headlines that have punch. Remember your headline needs to reel your visitors in so make sure it is well thought out and punchy. Your headlines have to stand out to be noticed as so many people read headlines in RSS feeds. Another important consideration when deciding on a headline is SEO. Consider what your readers might search under to find your post. 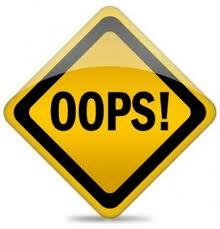 "Blogging pitfalls" and "common blogging mistakes" are more likely keyword search phrases than "bad blogging practices." 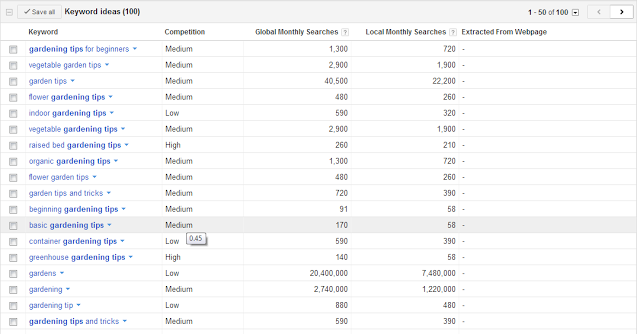 So knowing your keywords will help you craft headlines that are keyword rich. Once a visitor has found your site you want them to keep coming back. One way to ensure repeat traffic is to post frquently. Many new bloggers start a blog but find it hard to maintain a posting routine that is frequent enough to retain traffic. Just the other day I had someone comment that one of the reasons why they liked my blog was the frequency at which I post. I try to post a new article every second or third day if possible. I usually am working on lots of other articles in the background so that I might have two nearly finished and half a dozen or so at various stages of completion. Using this system I have some flexibility and a cushion if anything comes up to interrupt my posting schedule. Whatever you do don't make the mistake of posting just for the sake of posting otherwise your readers will see through this and you will lose readership. So many new bloggers start their site without a clear focus. What kind of focus you may ask? Well making money is not enough of a focus. I am talking about identifying your niche and sticking to it. If you try and paint the whole wall your visitors will be confused about what your blog is about and you will very likely lose traffic rather than gain it. Having a focus is important. On Blog Know How for instance, I concentrate on helping webmasters of Blogger blogs get the most out of their blog. I particularly aim my site at the new blogger and provide detailed step by step walkthroughs with them in mind. At the same time, however, I cater for all Blogger webmasters who access my blog. What I don't do though is go outside the theme of Blogger by writing about blogging in general. Instead I write articles that may be general in nature but are tailored to Blogger webmasters. Yes I could get more traffic perhaps if I widened the scope of my articles to include Wordpress or blogging in general put what would then make my blog stand out from a whole heap of other blogs giving advice on blogging? Having a niche earns me traffic that is focused. Site visitors come with the goal of becoming more informed about using Blogger. If they go away having learnt more than when they arrived my site will have done its job and I may have just found myself a repeat visitor. achieving this goal. When your site is very new it doesn't pay to have too much advertising at all. Err on the side of less advertising rather than more. Bear in mind of course that Rome wasn't built in a day and your site won't be either. Have faith that your traffic will build and you can gradually introduce more advertising like Google Adsense as visitor numbers increase. Too many social bookmarking buttons can clutter up your blog and slow it down. Many people still don't know too much about social bookmarking so avoid the temptation to overuse these icons. Rather than use a whole bunch of popular icons like Digg and Technorati which can lead to a cluttered look and feel I use a single consolidated button like Add This. Share This is another popular button for sharing your posts. This article has discussed 6 common mistakes new bloggers make when developing a new Blogger Blogspot blog and given suggestions on how to avoid them.as visitor numbers increase. The more professional you want your site to look the more you are likely to want to remove the navbar from showing above the header of your Blogger Blogspot blog. Removing or actually hiding the navbar is very easy to do as it only requires a small tweak to your template. This tutorial is suitable for bloggers at all levels but is written with new bloggers and the beginner blogger in mind and provides step by step instructions to guide you through the process of hiding the navbar from your Blogger blog. How Useful is the Navbar of a Blogger Blog? Blogger provides the facility to search your blog by entering keywords or a search phrase into the Search Blog box. This is a useful feature and if you remove the Blogger navbar you will lose the search facility from your blog. If you are using a custom template with a search box already built in this won't be a problem but if you are using one of the Blogger templates deleting the navbar will leave your blog without a search function. Another useful feature of the navbar is the follow button which encourages bloggers to start following your blog. The random blog feature is not particularly useful unless you have a lot of time on your hands and just feel like a browse. For most serious bloggers looking to create a professional look and feel to their blog the navbar can be a distraction. And let's face it you've worked hard enough getting the traffic to your site right? without encouraging them to leave it too quickly. The other main feature of the navbar is the ability to navigate back to your layout menu or posts quickly no matter where you are in your blog when signed in. Personally I like this feature and use it a lot. Its particularly good if you are on a page other than your homepage and want to quickly go to another of your blogs as you can get there in 2 clicks. The same goes if you want to visit some other area of your Google account such as Google Analytics or Google Webmaster Tools. You can get there in 2 clicks too when the navbar is enabled. To navigate with the navbar disabled you simply have to double click the back button in your browser to navigate away from the home page of your blog. If you are in another part of your blog then it can be annoying not to have the navbar functionality. The way I have gotten around it is to usually disable the navbar and click on blogger.com in the google search box on the toolbar of my browser. Provided I am signed in to Blogger this will take me straight to the dashboard. Overall my view is that what you lose on convenience you gain on professionalism. Losing the navbar is a sacrifice but it is a small price to pay for a much improved look to your blog. If you later decide that you are not happy with the missing navbar all you need do to reinstate it is to remove the code you inserted. This works as the code you inserted actually only masks the navbar rather than deletes it. In this tutorial you have learned about some of the advantages and disadvantages of the Blogger navbar and how to hide, disable, remove or delete the navbar in order to promote a more professional looking blog. How To Make Online Money/Income with You Tube Videos. Are you interested in making money online with You Tube? Am sure your answer is yes. I cannot grantee that you will make money right from the start it will take some carefully planning plus promotion to give the edge or boost for you to earn. All you need is a Gmail account and a Google Adsense account, which You Tube will use to pay your earnings. Note: You can still upload you video’s and monetize without the adsense account and later apply for adsense and still get paid. What can you upload in You Tube? Anything multimedia so long as you own the rights to the video. How do you create a Video? You do not need complicated equipment and an editing video studio. Just use the simple available resources like webcam on your Pc or Laptop or a camcorder or your smart phone. How do you edit your video ? I use entry level editing software like the Apple iMovie for apple Mac operating system and Windows Live Movie Maker for Windows operating system. The above editing software are more than sufficient to create videos for You Tube. If you want to create videos using your computer like recording an onscreen video you can use Camstudio ( Free), Camtasia (Paid) or Animoto (Free and Paid). How to upload your video in You Tube? Then Click on upload. You will find a number or options Webcam capture, Photo Slideshow and Google + hangout these features are simple to use just experiment with any before settling to a specific one. Tips on how to get good rankings! Before uploading do some research on the keywords of your title of your video. 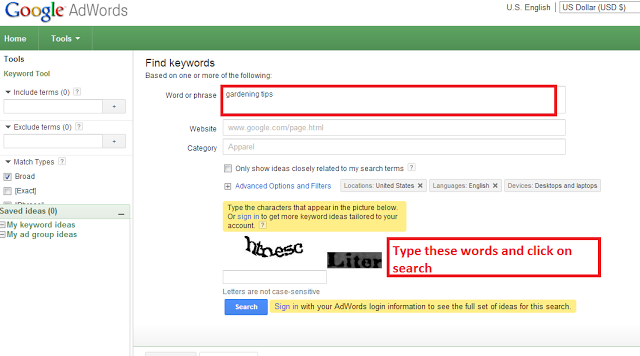 You can use Google Keyword Tool or You tube search bar to give an idea of the best title you can coin for your video. Make sure your description is short and detailed using keywords so as to encourage one to view your video. Tags tell what your video is about allowing it to be found by people looking for your video. Put in at least 10 tags or more for your video so that it will be returned as a related video for as many searches as possible. How monetize your videos after uploading? Use video manager and locate your video. Click the “Edit” or “$” button next to your video. Click the Monetize my video check box and select the ad formats you want to enable for your video. Save Changes. Now your video is monetized. 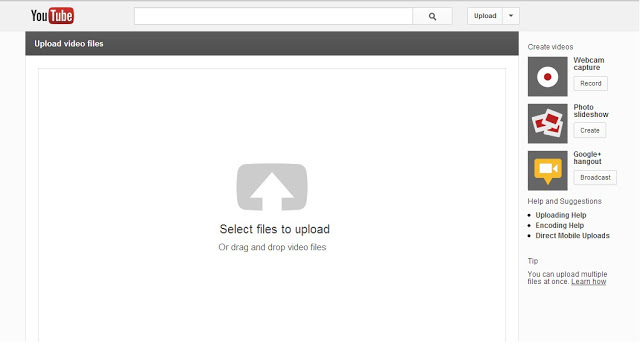 After uploading your video you tube gives you are URL to your video. With these link you can share it via social media like facebook, Twitter, Google + and any other social media you are part. You can also embed your video on your website or blog to get more views.Note you tube is also a great way of promoting your products and services if done correctly. An advertising program allows publishers (websites/blog owners) to insert relevant and targeted ads on behalf of Google in exchange of revenue that is if a visitor clicks on the ads placed on their site. It is one of the ways that publishers use to make moneyonline. It is not a quick rich scheme it takes time and loads of traffic to earn from these strategy. The Key is writing quality content using keywords and being persistent. You see results like these. From here, you get ideas of the keywords to use for your article. Do not over use them. Use 20% in your article. The next step is getting the Adsense account. First Step is having a Gmail account then sign in. 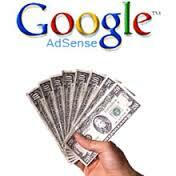 Go Adsense then follow the simple instructions laid out for you by Google. It takes 8 hours for the first phase of approval then they will send you an ad code to add to your site. Unless you add the code to your site then you will never be approved for Adsense. Once you have added the code they will monitor your blog or site between 2 to 7 days for them to approve. The best way to be approved is by posting several posts to your blog then apply for Adsense. Once approved the next step is configuring Adsense to blogger. After Google improving on blogger nowadays it’s automatic not manually as before. Simply go to your blogger and select earnings. Select show ads on blog and display select the first option. Now by doing so you have monetized your content on your blogger. The remaining thing is driving traffic to your blog. Note don’t click on the ads posted by Google on your blog reason being Google will lock your Adsense account and reactivating it will be a problem. 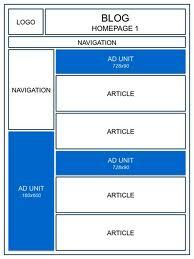 Choose Your Ad Layout - To fit ads in your sidebar, it's best to choose one of the following ad layouts. Choose a color palette - They are very cleverly named but it's really just a matter of your preference. 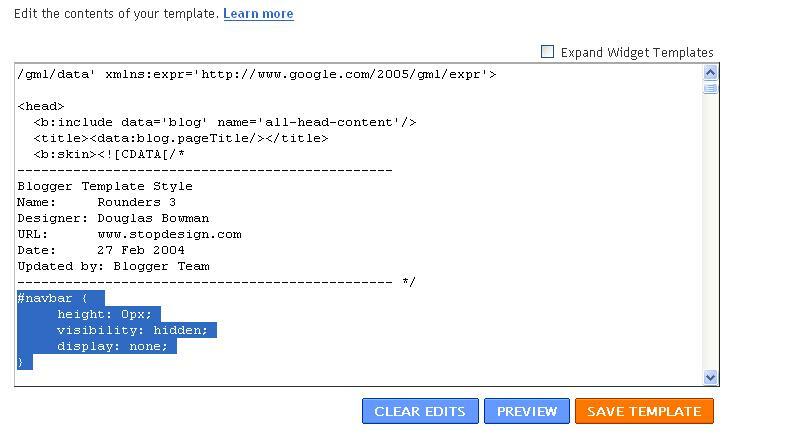 Copy your AdSense code - At the bottom of the page, there's a box with code in it. Highlight all of that code and copy it. Paste the code somewhere - Notepad or Text Edit or something like that is a good place for now. Go to Blogger.com and sign in - Choose the blog you want to put ads on and click the template tab. This is less of a step and more of a precaution - Copy your entire Blogger template and save it in Notepad or Text Edit just in case. Paste the AdSense code you saved earlier right after that part. PUT YOUR ADSENSE CODE HERE! Save your template changes and republish your blog. To increase the performance of Google Adsense on your Blogger Blogspot blog you can extend the choice of placement options of your Google ads with some simple tweaks. This involves making a few minor adjustments to your Blogger template to increase where widgets can be created and how many widgets can be placed in your template. In this second tutorial of the series on placement of Google Adsense in a Blogger Blog you will learn how to place Google Adsense between the header and the first post. This will allow for a variety of Google Adsense ads to be added of which the 728x90 leaderboard is probably the most suitable. This tutorial assumes no particular technical knowledge of Blogger and is suitable for bloggers of all technical abilities as it gives step by step instructions to implement the changes. 8. Click on new Add a Gadget option that will now have appeared between Blog Posts and the Header. In this tutorial which is part of a series on placement of Google Adsense in Blogger Blogspot blogs you have learnt how to add Google Adsense between the header and the first post section. As this is a prime position for a 728x90 leaderboard ad unit I have concentrated on showing you how to add this Google Adsense ad unit to your blog. For more tutorials on Google Adsense please refer to the related posts as the bottom of this article. How to Check If Your Site Is In Google? I personally suggest manual submission of your site's pages to Google and Bing because they have made it apparent that it is what they prefer. The search engines have implemented manual submission as a best practice to protect themselves from extreme levels of spam. For a step by step walkthrough of how to submit your Blogger blog to Google, verify your site and add a sitemap please refer to my article Submit Your Blogspot Blog Sitemap to Google. Bing allows you to submit your URL, just like Google. 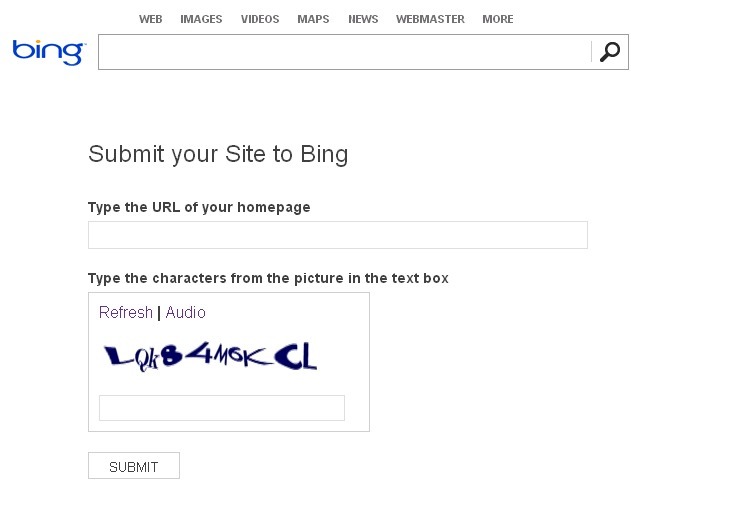 Go to Bing's site submission page, type in the URL of your homepage (this is different than Google and Yahoo!). MSNBot will follow the links from your homepage to all of the pages on your site. Bing also requires you to identify yourself as a person, not an automated program, by typing the characters that you see in the picture. As easy as this site submitter process is, some webmasters prefer to offload the task to a site submitter service. 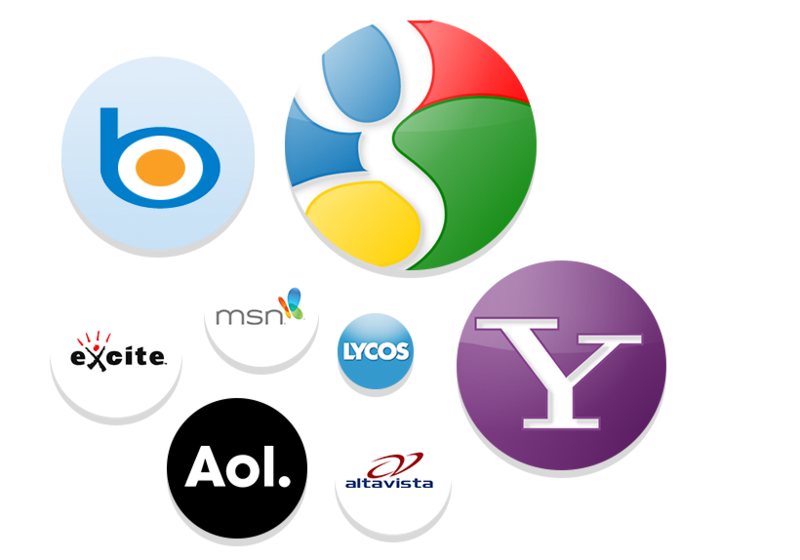 These services let you enter your URL once and then submit your site to multiple search engines and directories; they handle all the details required by each search engine. Given that many of these services are free, it’s not a bad way to go. Beware those services that charge a high fee for search engine submission—they don’t do anything that you can’t do yourself, for free. Increasing your search optimization is key to driving traffic to you blog or website, and the process couldn’t be easier. Good luck and submit your sites url for free. Get listed and Get Noticed. 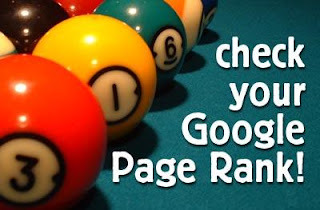 PageRank is a link analysis algorithm, named after Larry Page and used by the Google web search engine, that assigns a numerical weighting to each element of a hyperlinked set of documents, such as the World Wide Web, with the purpose of "measuring" its relative importance within the set.